Additional storage for your notebook PC with a look that blends in almost seamlessly! 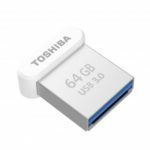 The new U364 TransMemory USB 3.0 Flash Drive is Toshiba’s smallest USB, combining big capacities and a maximum read transfer speed of 120MB/s into the smallest, most discrete USB stick yet. 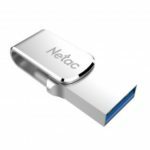 The TransMemory USB 3.0 is available in three different capacities: 32, 64, and 128GB. Small size with large capacity. 4.9mm ultra thin design, easy to put it into your pocket, portable to carry. 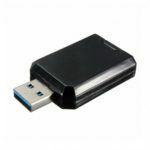 USB 3.0 super high speed transmission, read speed up to 120MB/s. Plug and play, no external drive required, convenient to use. 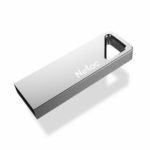 Widely compatible with Windows 7/8.1/10, OS X 10.6.6-10.11, Mac OS 10.12 & above system. 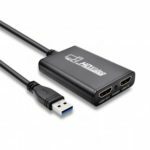 Applicable to read data from PC, TV, audio and car devices. Please Note: The capacity of the product is according to: 1MB=1000KB,1G=1000MB to calculate, the operating system is a binary algorithm that is 1MB=1024KB, 1G=1024MB, so please pay attention to the actual capacity is marked capacity of 90%-93%.